Experience superior materials, products, and craftsmanship with Renewal by Andersen® of San Francisco. We provide our customers and clients with premium replacement windows and doors to renovate, improve, and beautify their homes and residences. Whether you are stepping through your entranceway, enjoying the breeze, or viewing the outdoor scenery, we will insure that your doors and windows are expertly installed. Each project we undertake meets our standards of performance and the stringent qualifications to be environmentally conscious and energy efficient. Year after year, we receive the Energy Star Sustained Excellence seal for our commitment to sustainability. Our Fibrex material and low-E glass combine to reduce energy costs in your home saving you money and giving you return on value for your investment in our products and services. We believe you, our customer, deserve personal attention, open communication, and respect while we work with you on your renovation or replacement project. Each step of the way and from every member of our expertly trained staff, we provide you with up to date information and the highest quality materials available to bring beautiful style and workmanship to your rooms and patio. We want you to have peace of mind through your experience with us from beginning to end and to know your investment is protected through one or more of our warranties. Renewal by Andersen® of San Francisco provides the innovation, skill set, and materials that other companies cannot. Save time and money by choosing our company to aid in your home improvement projects. 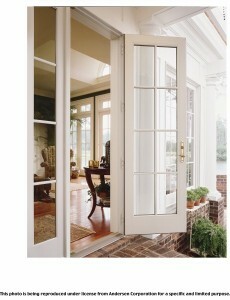 Take a deep breath of the fresh air let in through one of our doors or windows and enjoy.